We must distinguish pure and false “O” type curves. In both cases the internal lines of the tibias are insufficient. But in a pure “O” type curve the cause of unattractiveness of the legs is the bone curve, and so the corrective open wedge technique with small medial shifting is indicated and performed. 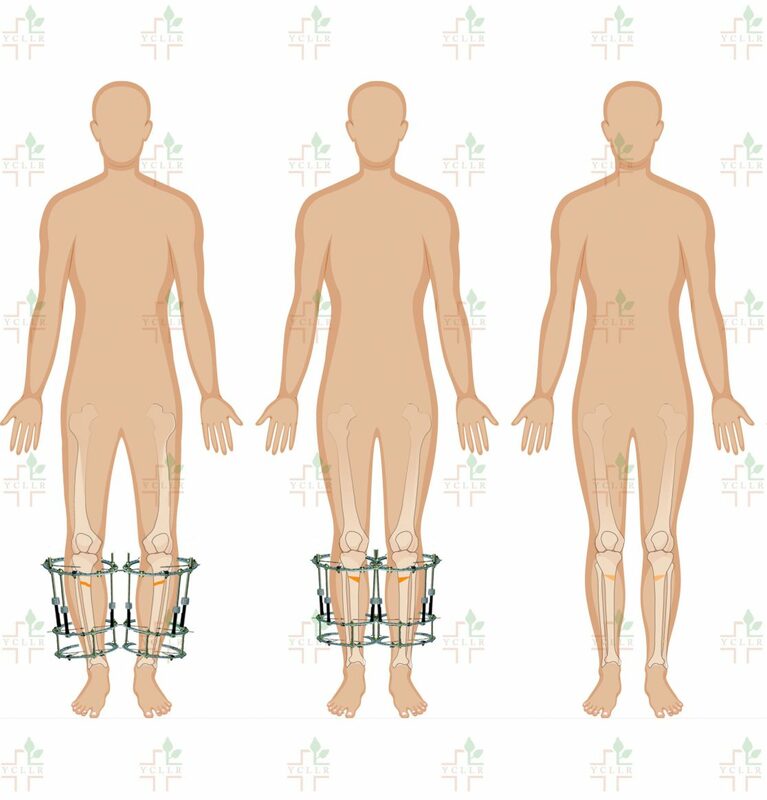 As a rule, the open wedge correction of the tibias’ axis increases the height of patients up to 2.5cm. In the case of false “O” type curve, silicone implants to increase the medial line of the tibias may be suggested.